I’ve been actively writing and presenting over the last few months on the changing B2B marketing landscape. And I’ll be talking more about this subject throughout the Fall at the B2B Marketing University series that I’m hosting together with my colleagues at Silverpop (please join us). A great deal of the focus of my dialogue so far has been on the evolution of marketing technology, but it’s impossible to talk about a changing environment for marketing technology without talking about how the nature of the B2B buyer also is rapidly changing. The two are inextricably intertwined in a new reality that is both a cause and effect of the digital age we live in. But where is the hard data that this evolution is really occurring? We’re changing how we go to market — and there is plenty of data pointing to shifting spending by marketers — but how do we know that our shifted spending will better align with B2B buyers’ shifting needs and preferences? There are quite a few data points that support this evolution; however, they’re often difficult to unearth. Often they are buried or confused within consumer-focused studies on buying trends, and sometimes the consumer data even contradicts the B2B reality. Marketing technology analyst and author David Raab hit on this in a recent round-up of many of these ‘mixed’ consumer/B2B surveys on his Customer Experience Matrix blog. And a major call-out from his piece was just this discrepancy: “Many [data points] are contradictory …,” commented Raab. So how do we better articulate the unique and changing nature of the B2B buyer — separate from the broader consumer perspective? 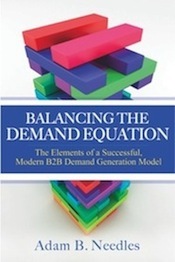 How do we nail down (real) evidence that the nature of the B2B buyer has changed?